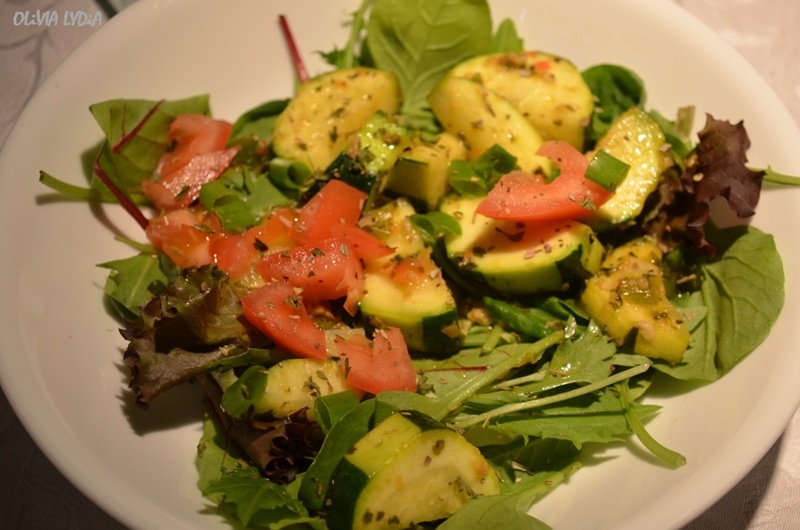 Warm Zucchini Spring Mix & Cucumber-Mint Salad – Olive For Greens. I eat a lot of salad! 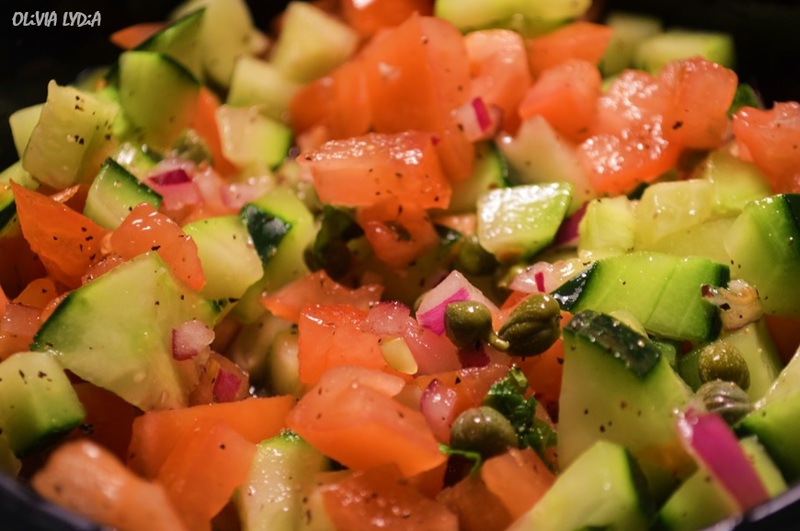 I am constantly thinking of new ways to enjoy a salad so that I don’t get sick of it (if that is even possible for me). Generally, I eat 2 salads a day. Before lunch and before dinner. Sometimes I eat a giant salad for lunch. Yup, in a big Tupperware bowl full or right out of the salad mixing bowl! No joke! Today I am featuring 2 of my favorite salads. My first encounter with zucchini was very exciting. I found the perfect recipe online for a zucchini gratin. Certainly not the healthiest but definitely the cheesiest thing I had in a while. I began exploring all of the possibilities with zucchini and realized you can do anything with it! Grill it, broil it, sauté it, whatever! It can even be eaten cooked or raw. The taste of zucchini pairs well with just about anything you can think of. 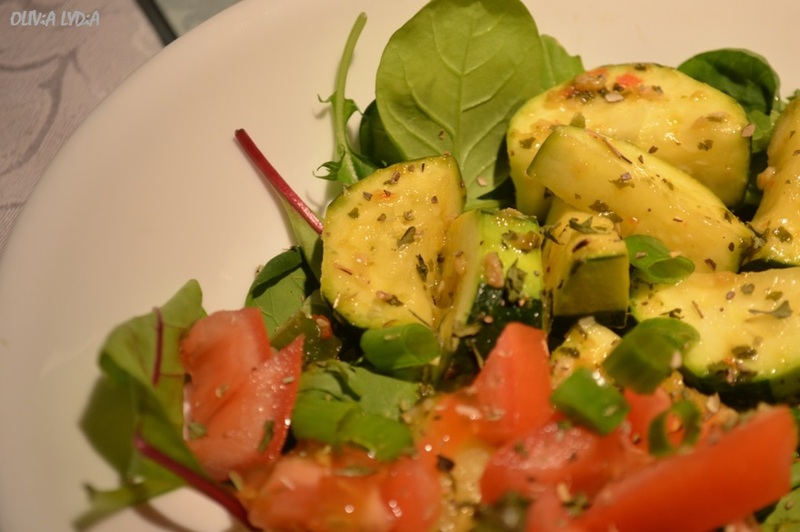 This zucchini salad is not only healthy but hardy and will complement any meal. It can also be eaten at lunch time; just add a large portion of leafy greens for a complete meal! In a medium pan, on low heat, add the olive oil, sofrito, salt, pepper, oregano. Sauté for one minute then add the zucchini and 1/2 of the vegetable broth. Stirring constantly, sauté until zucchini is at desired texture. Add the remainder of the broth. Let simmer 1-2 minutes. The broth will act as a “dressing”. Add more if necessary. Remove from heat. In a bowl add green mix, top with warm zucchini and spoon in broth. Scattering tomatoes, scallions and extra oregano on top. 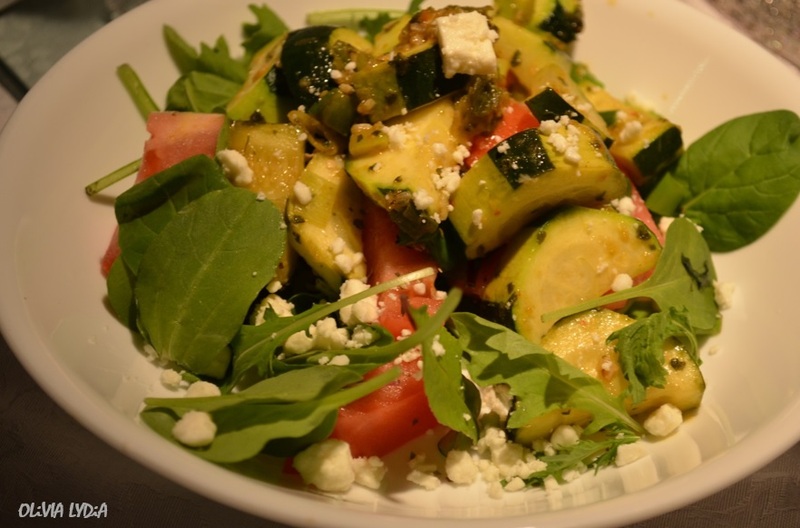 Tip: Sprinkle 2 tablespoons of feta cheese on top for an extra zing! 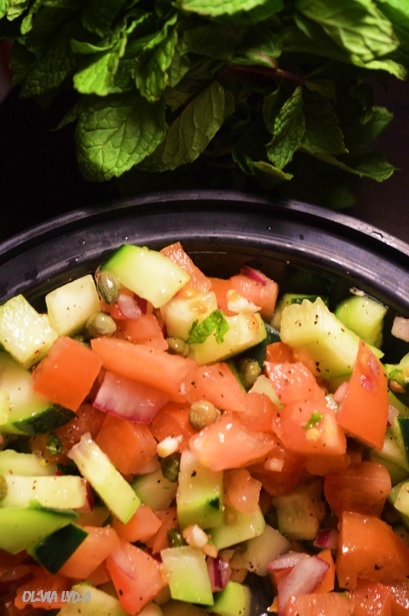 This cucumber mint salad pairs extremely well with a spicy dish. You can eat it on its own or add it to a bed of greens! It’s cool, it’s salty (but not loaded with sodium) and tangy! I think I can eat this salad everyday (but I don’t!). 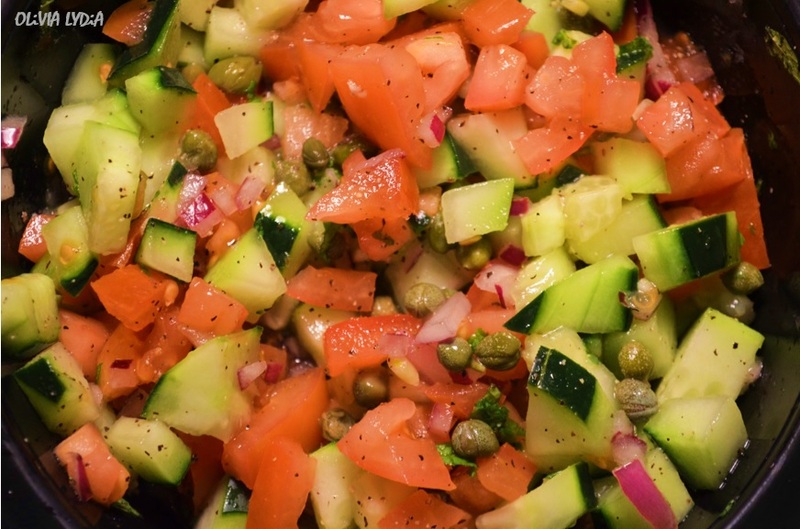 Incase you’ve never had capers you should try them, especially in this salad. They are Mediterranean, look like tiny peas and salty. Add all of the ingredients to a bowl and mix. This can be served immediately or placed in the fridge while the rest of your meal cooks. Pingback: Good Mood Food: Spicy Zucchini & Cheesy Jalapeno Rice | Olivefor Greens: Healthy but tasty! Pingback: Deconstructed falafel Pasta & Creamy Tahini Dill Sauce – Olive For Greens. Pingback: Greek stuffed Peppers & Cumin Spiced Chickpeas – Olive For Greens. Pingback: Spicy Zucchini – Olive For Greens. Pingback: Cheesy Jalapeno Rice – Olive For Greens.